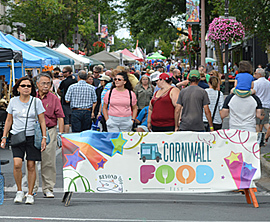 Cornwall Ontario – Engage, enlighten and entertain. 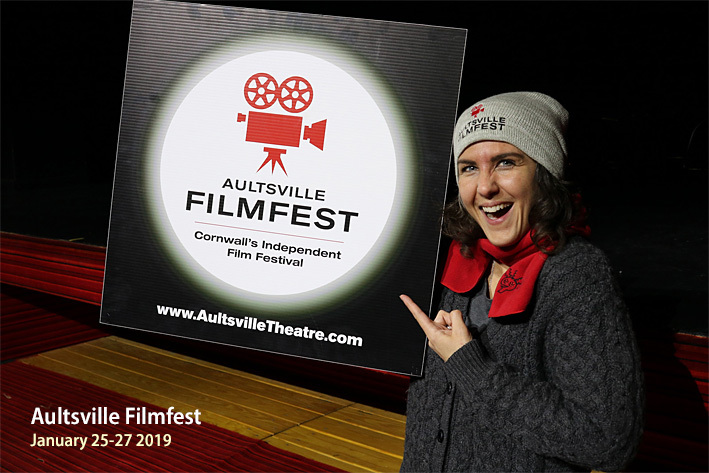 That’s the main purpose behind the popular Aultsville Filmfest, which kicks off this Friday at Cornwall’s Aultsville Theatre. And given this year’s line-up of films, it’s sure to meet that purpose – and then some. The 13th edition of Aultsville Filmfest returns with screenings of eight diverse films over three days. The organizing committee selects the films through the Toronto International Film Festival – Film Circuit which helps distribute independent films to small communities. It also gives organizers plenty of variety to choose from. To that end, this year’s line-up has a little bit of everything, from documentaries and dramas to comedies, a character piece in black and white, and an entry from Russia – a first for the Filmfest. The films always have an impact, but the conversations that stem from them by the festivalgoers are just as eye-opening. This year’s festival kicks off on Friday, January 25th at 5:30 pm with a screening of the documentary thriller Expo ’67 – Mission Impossible. Filmmaker Eric Ruel will be in attendance to introduce the film and entertain a question and answer session afterwards. 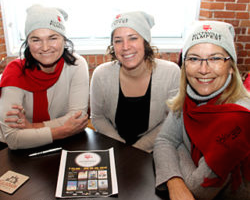 “That film will bring back lots of memories for people (in the area),” said Mrs. Baker-Brown. That will be followed by a welcome reception for passholders before the screening of the British dark comedy The Party at 7:45 pm. After opening night, the fun continues for film buffs on Saturday, January 26th and Sunday, January 27th with three screenings each day, with a reception prior to the Saturday evening screening (see below for the full film list). Now in its 13th year, the Aultsville Filmfest has grown to become a must-attend event for many in the region. “It’s become a weekend where people have the same guests and they come every year,” said Mrs. Baker-Brown, noting there’s a growing number of out-of-town visitors who make a point of attending for the movies, food and fun conversation. A full weekend pass to the filmfest is $130, and that includes all eight movies as well as the social events. Tickets to individual movies are also available for $15 for adults and $10 for students. 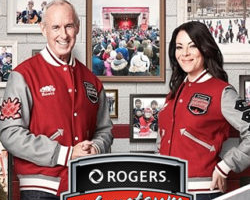 Passes and tickets can be purchased at the Civic Complex Box Office (Monday to Friday, 8:30 am to 4:30 pm), by phone at (613-938-9400) or online (click here). They are also available at the Aultsville Theatre Box Office one hour prior to show times (subject to availability). This documentary thriller invites us to relive the incredible adventure of the men behind Man and His World. Over time, tongues have loosened and the full story can now emerge, just like Notre-Dame Island out of the waters of the St. Lawrence. Janet (Kristin Scott Thomas) is hosting an intimate gathering of friends in her London home to celebrate her political ascension, while her husband, Bill (Timothy Spall), seems preoccupied. Janet’s acerbic best friend, April (Patricia Clarkson), arrives and others follow, some with their own dramatic news to share, but an announcement by Bill provokes a series of revelations that gradually unravel the sophisticated soiree, and a night that began with champagne may end with gunplay. Thomas, a young German baker, is having an affair with Oren, an Israeli married man who has frequent business visits in Berlin. When Oren dies in a car crash in Israel, Thomas travels to Jerusalem seeking for answers regarding his death. Under a secret identity, Thomas infiltrates into the life of Anat, his lover’s newly widowed wife. The encounter with the unfamiliar reality will make Thomas involved in Anat’s life in a way far beyond his anticipation, and to protect the truth he will stretch his lie to a point of no return. The one-liners fly as fast as political fortunes fall in this uproarious, wickedly irreverent satire from Armando Iannucci (Veep, In the Loop). Moscow, 1953: when tyrannical dictator Joseph Stalin drops dead, his parasitic cronies square off in a frantic power struggle to be the next Soviet leader. Leading attorney Shigemori takes on the defence of murder-robbery suspect Misumi who served jail time for another murder 30 years ago. Shigemori’s chances of winning the case seem low – his client freely admits his guilt, despite facing the death penalty if he is convicted. As he digs deeper into the case, as he hears the testimonies of the victim’s family and Misumi himself, the once confident Shigemori begins to doubt whether his client is the murderer after all. Alison Chernick’s enchanting documentary looks beyond the sublime musician to see the polio survivor whose parents emigrated from Poland to Israel, and the young man who struggled to be taken seriously as a music student when schools saw only his disability. Itzhak himself is funny, irreverent and self-deprecating, and here his life story unspools in conversations with masterful musicians, family and friends, and most endearingly his devoted wife of 50 years, Toby. A group of 40-something guys, all on the verge of a mid-life crisis, decide to form their local pool’s first ever synchronized swimming team – for men. Braving the skepticism and ridicule of those around them, and trained by a fallen champion trying to pull herself together, the group set out an unlikely adventure, and on the way will rediscover a little self-esteem and a lot about themselves and each other. 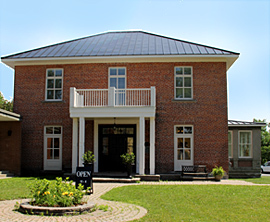 Aultsville Theatre is located on the campus of the St. Lawrence College, along the shores of the scenic St. Lawrence River. Audiences and performers alike enjoy excellent acoustics, sight lines, reception and ambiance in the 658-seat theatre. Aultsville Theatre is governed by a volunteer Board of Directors that manages the theatre as a non-profit, charitable organization.